Kremlin-Bicêtre United has just won the French Futsal League and the French Futsal Cup 2018. 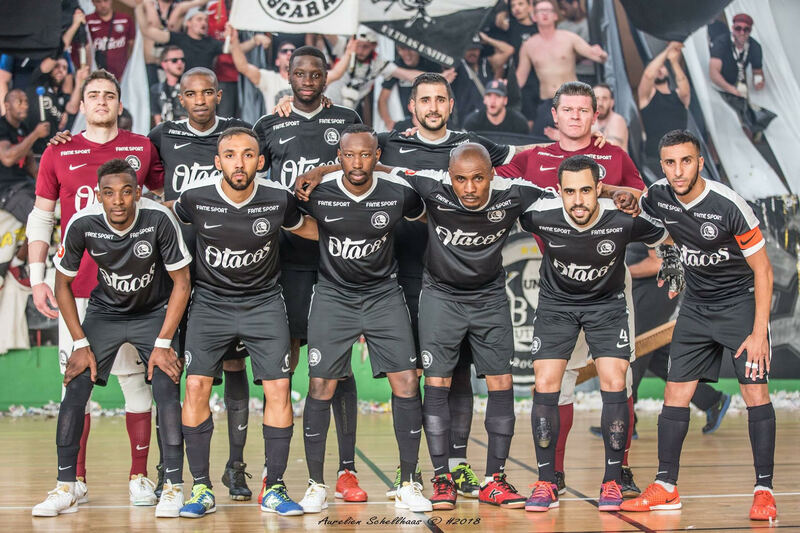 Twenty years ago, it was just a little club from the block but thanks to the passion, it became one of the most successful futsal club in France. We tell you their story. Kremlin-Bicêtre, South-East of Paris, right under Porte d’Italie. A city of 25,000 inhabitants,with the highest population density in the region, a former center for heavy industry. Not a fancy suburb of the French capital maybe, but a very active place. 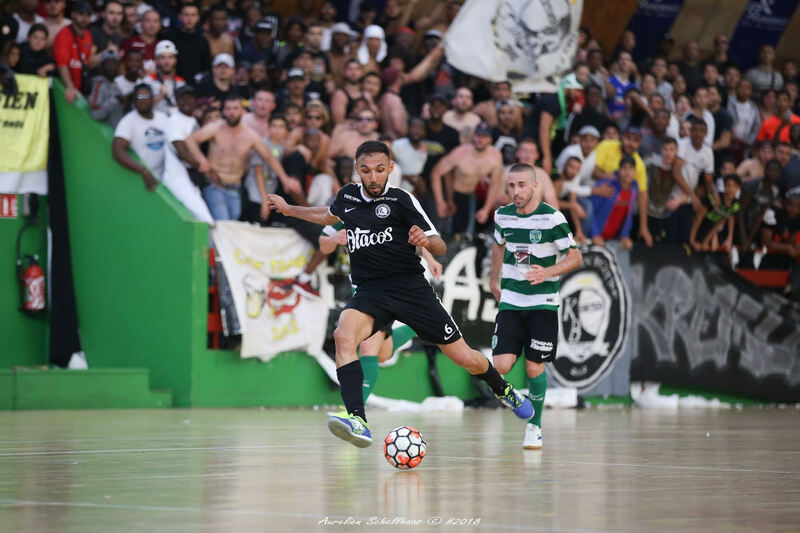 Back in 2002, two friends, Mickaël Bieliauskas and Kamel Boufraine, decided to create a neighborhood Futsal club, simply to live their passion. “We loved to play. Kamel asked me: ‘Why don’t we create an official club?’ We did that, we entered a league, we had 10 players, all of them from Kremlin-Bicêtre. And we started to win games, and then leagues and step by step we reached the higher level”, explains Mickaël to mycujoo. Sixteen years later, KB United is a major Futsal club in France, with a number of trophies in the cabinet. “When we look back, it is a crazy story, not that long ago we were just a little club from the block, then a few years later we were in the Champions League. It is an incredible experience”, remembers Mickaël. Johann Legeay, the current coach, was a KB player as well at the very beginning, in 2004. He quickly became an assistant coach, tried his luck at other big clubs in France, and finally returned in January 2018. “The team was unbeaten this season when I arrived, but there were relationship issues. The group was split, there was a lot of frustration, my main role was to restore the trust and make sure we’d reach the playoffs in good condition”. And they did, winning both the League and the Cup! Because in the meanwhile the club had grown, with new players joining, including some members of the French national team. Such as the captain, Azdine Aigoun, who arrived in 2012. They accumulated good results, winning the French Cup in 2014 and 2016, and the French league in 2010, 2015 and 2016. This season has been particularly successful for Azdine, who also participated in the Futsal Euro 2018 with France. “It’s been a very complete season for me this year, of course. The Euro qualifiers went well, and we managed to beat Croatia in the playoffs, a big achievement for us. We reached the Euro finals, for the very first time for a France national team”, confirms Azdine. However despite these impressive results, the life of KB United remains a challenge. Futsal is not yet well developed in France, there is no visibility, hence it proves difficult to attract sponsors. “There is not enough promotion of our sport, so we have to be creative. Now that we have bought the Cerevo livewedge (multi-cameras studio), we are aiming for a higher quality broadcast on mycujoo. We will also rebrand the stadium”, says Mickaël. With a semi-professional status for the players and a staff made of volunteers, everything is driven through passion. “The reality at the moment is that we don’t earn money. We won the League and the Cup this year and we did not win any prize money. On the contrary, for instance, when we play in European cups, we have to pay our trips”, says Mickaël. And surely, for their first qualification for the Champions League, KB was drawn to play in… Iceland! “The worst place for us! Not because of the country, but because each plane ticket would cost 500 euros. It was impossible! Luckily the boss of a local company heard our story and very nicely paid for the trip. Stories like that, I have hundreds of them… We have to find a way, for everything”, adds Mickaël. “It’s an overall issue with Futsal in France: there is a lot of demand but not enough infrastructure, so the clubs cannot train properly and have youth teams and as a consequence you cannot really develop the sport. However, step by step, it is moving on. The performance at the Euro helped, there’s been some visibility. Now everybody has to make an effort, the clubs, the Federation, the cities”, thinks Johann. However, the Parisian club can count on the incredible intensity of their fans. “The atmosphere is just crazy at Ducasse (the gymnasium, with a capacity of 1000). The fans come and talk to us before and after the game, they are super well organized, they have chants, they follow us away as well. I don’t think there is such a mad group in other Futsal clubs in France. It is a huge boost for us”, says Aigoun. “There’s always been a lot of fans here, and it keeps increasing. Some players are calling to join us and they not only mention our results as criteria, but also the incredible fervor”, adds Johann. And with this passion, KB manages some fantastic results. “In 2016, we reached the Elite Tour of the Champions League, we were among the eight biggest European teams. We played in Madrid against Ricardinho… Madness, Ricardinho, the best player in the world… It was another dimension, it was like being in a fairy tale”, remembers Mickaël. Having done the double this year, KB will be back in the Champions League next year. With a lot of hopes, in particular by giving more visibility to Futsal. “It is a bit like with the Euro with the national team: it is a chance to be visible and something which might not happen that often. Since 2016, the team has renewed a lot, we have a lot of young players, so it is also a fantastic chance to gain experience by touching the highest level. When we reached the Elite Tour in 2016, you have no idea how it felt to play with the biggest european clubs in Madrid…”, says Azdine. “The goal is to reach again the Elite Tour and play the biggest teams. We cannot compete with these clubs in terms of budget but we want to show good and gain experience”, confirms Johann.